In this photograph, from the Imperial War Museum (IWM), we see Canadian troops landing at Juno Beach on the afternoon of D-Day (June 6, 1944). The IWM provides a description for its photo A 23938: “The British 2nd Army: Second wave troops of 9th Canadian Infantry Brigade, probably Highland Light Infantry of Canada, disembarking with bicycles from LCI(L)s [Landing Craft Infantry Large] onto 'Nan White' Beach, JUNO Area at Bernières-sur-Mer, shortly before midday on 6 June 1944.” Copyright expired. One of the actual landing spots was Juno Beach. Canadian forces, who sailed from England on the 5th of June, were primarily responsible for that assault. It was not the first time Canadians were involved in amphibious landings on the French coast. The memory of the 2nd Canadian Division must have been in the minds of all Canadians on June 6th. 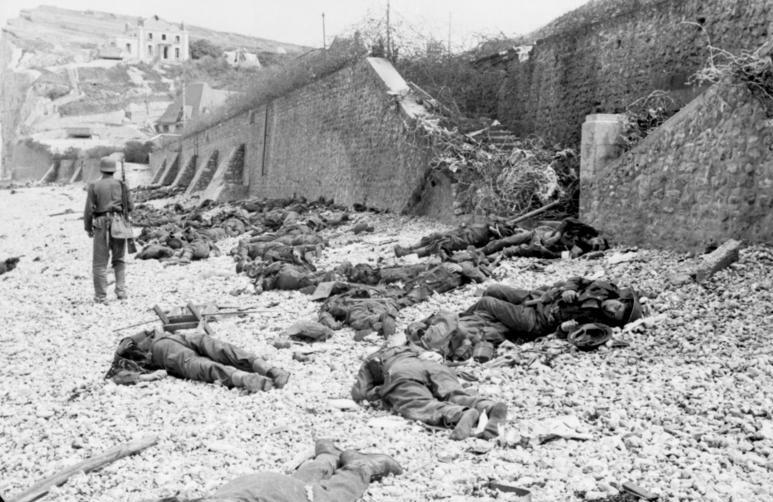 Earlier in the war, in conjunction with British troops, the 2nd Division attempted a landing at Dieppe. It was a disaster. Testing tactics and techniques, which would later be used during D-Day, the men were largely massacred or taken prisoner. I can't describe our order of battle...I can't describe our fire power...nor how we fooled the Germans...I can only describe some of what I saw...We went where our fathers and brothers went 25 years ago...There was an enormous Armada - in broad daylight - but nothing happened...Not a sound at first - then it started. H-Hour: a sudden, fighting hour. The moment for the assault troops to go ashore ... At first, the Germans were stunned...We expected big guns, with a range of many miles...We expected the sky to be an inferno. We thought the submarines would be there. But there were none. Was the German Air Force destroyed? Where were the secret devices? The German wall of resistance, of course, was still there. By the time the Germans "came to" (using Halton's phrase), forward Allied troops were directly in the line of fire. 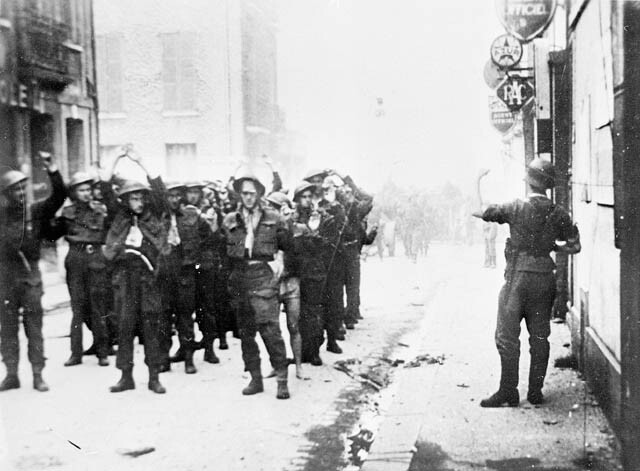 Bill Grant, a Canadian sergeant, took some of the first D-Day moving pictures seen by anxious people in North America. These were not the days of instant battlefield images. Before anyone could view Grant's film, it had to be processed in Britain. On Remembrance Day - every November 11th - Canadians honor those who gave their lives for their country. The wearing of poppies is part of the commemorations. Bos, Carole "CANADIANS LAND AT JUNO BEACH" AwesomeStories.com. May 01, 2004. Apr 20, 2019. What Makes an Entire Nation Proud?